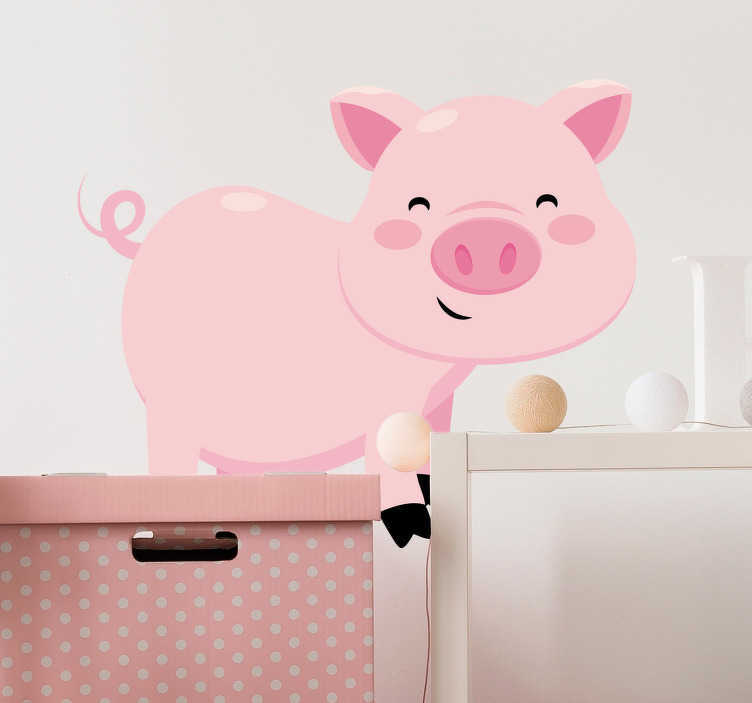 Kid Wall Stickers - Fun and playful illustration of a friendly pig with big eyes. Cheerful design ideal for decorating areas for children. Ideal for the kids´bedrooms and play areas. Available in a various sizes.